League Two side Yeovil Town have made their 13th summer signing by bringing in former Luton Town defender Alex Lacey on a two-year deal. 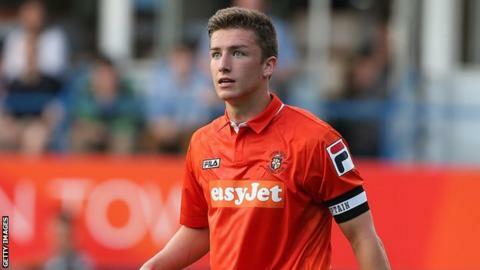 Lacey, 22, came through the youth ranks at Kenilworth Road after penning his first professional contract with the Hatters in 2010. "I feel he has massive potential and I hope we all get to see that potential," said manager Paul Sturrock. "He is a natural talent who has played fairly regularly in League Two." Lacey made 18 Football League appearances for Luton, having also featured in the previous season's title-winning Conference team. He also spent time on loan further down the non-league ranks with Cambridge City, Thurrock, Eastbourne Borough and Eastleigh.